A woman on Wednesday succumbed to her injuries after being burnt by a stalker in Kerala. New Delhi: A native of Kerala’s Tiruvalla on Wednesday succumbed to her injuries after she was burnt by a stalker. Following the incident, victim Kavitha Vijayakumar, was kept on the ventilator for the past eight days. The accused, Ajin Reji Mathew, was arrested from the scene the same day. On March 14, Kavitha Vijayakumar aged 19, was stabbed and set ablaze by a Kerala man in the broad daylight. The man allegedly burnt the woman for refusing his marriage proposal. According to a report, the woman was going to her college when the unfortunate incident took place. She was brought to the hospital on March 12 with 48 to 50 per cent burn injuries, police said. A resident of Thiruvalla, the radiology student earlier told police that Mathew had professed his love for her, but she had spurned his proposal. According to eyewitnesses, the accused was walking alongside the girl and suddenly opened a bottle of petrol and poured it on her before setting her ablaze in Thiruvalla town. She was rushed to a private hospital before being shifted to the Ernakulam Medical Centre for further treatment. Hospital sources said her body will be shifted to the mortuary and her autopsy will be performed at a Government hospital after completing all formalities. 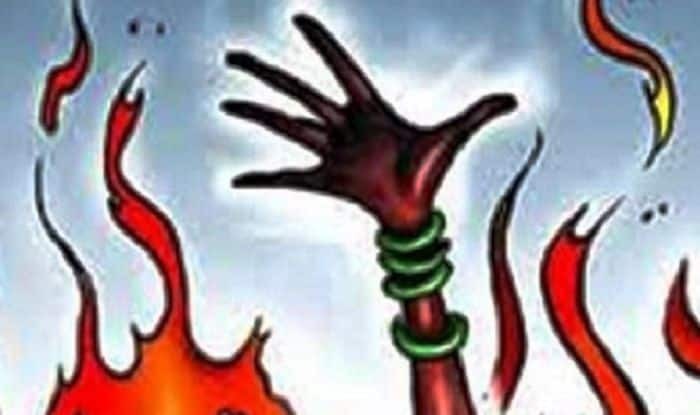 In an earlier incident last year, a 30-year-old woman received severe burn injuries after she was allegedly set on fire by her in-laws over dowry in Greater Noida. The incident took place at Kalupura village under Rabupura police station limits, a police official said. “A complaint was made by the woman’s brother, who has alleged that her in-laws tried to kill her for dowry,” the official said. The woman, who was married for around six years, was referred to the Safdarjung Hospital in Delhi where her condition was stated to be critical, Station House Officer Rabupura police station Sunil Kumar Singh said. The woman’s husband, father and mother along with another person were booked for attempt to murder and cruelty over dowry, police said. Singh said a case had been registered under the Indian Penal Code Sections 307 (attempt to murder), and under relevant sections of the Dowry Prohibition Act. “The accused in-laws of the woman and her husband are absconding and searches were being made to arrest them,” he said.